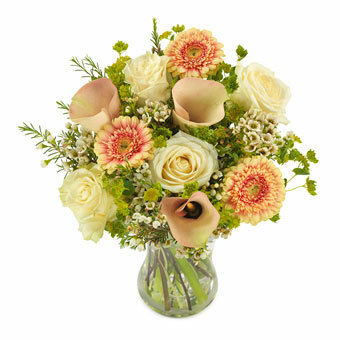 Precious bouquet that spotlights the classic beauties, Calla and Rose. Looking for a gift for special occasions? This bouquet is a perfect choice. **The vase is not included**.